The Best CRM Blog: CRM Tips: How Can Your Business Become the 'Customer Whisperer'? CRM Tips: How Can Your Business Become the 'Customer Whisperer'? In the contest between margins and customer engagement, customer engagement wins eventually every time. Your customers today have a powerful arsenal of tools to compare you with the competition and then god forbid, switch. You need to constantly identify risks to loyalty and define strategies to deliver exceptional value to customers. In other words, train and motivate the customers to develop intimate engagement. 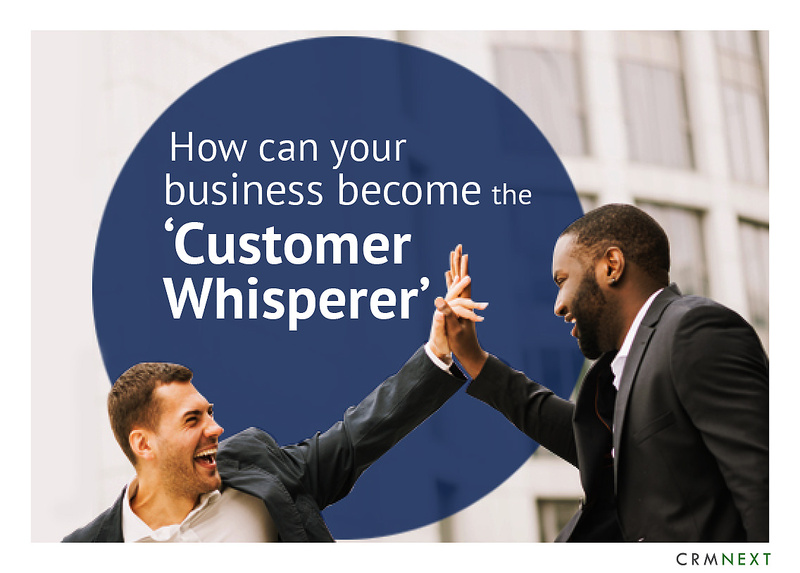 So how can you become the ultimate customer whisperer? Follow the below five steps. Businesses exist to serve customers, not the other way around. Quantify your business offerings and technology capabilities and assess how it aligns with a customer's in-demand. In an ideal world, business teams will take care of a single customer demand. Unfortunately, reality sees most teams juggling between multiple offerings, products, stakeholders and customer preferences. Taking care of this ballet is no simple task. 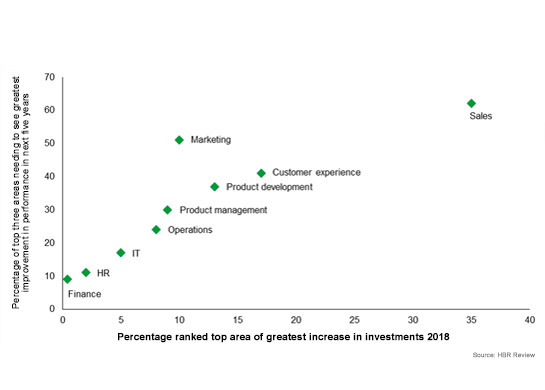 Aligning capabilities with needs will allow you to move crucial funding to teams that manage customer expectations. This also significantly improves the partnership between a business and its deployed technologies. Focusing on risk reduction is good, but this approach may hamper innovation in business processes and the ability to adapt quickly. For example, manual verification can claim to reduce risk, but it is tedious, prone to bias and an abomination in this age of instant gratification. Bringing in robotic automation will help speed your processes, like approving loans in seconds instead of days or months, that will delight customers and increase market penetration. Automated service processes drives approvals to the right stakeholders at the right time, avoid overheads and empowers teams to operate at record-breaking speeds. One of Asia's leading auto finance company disrupted the loan industry by drastically reducing the approval time from days to mere minutes. The world's most powerful CRM solutions delivered high flexibility, scalability and automated end to end loan origination processes. Embedding strategy into your organization's fiber helps to align business ecosystems to the aspirations and values of the customers, employees and other stakeholders. It helps a business to avoid siloed functioning and confidently face rising competition and dynamic customer demands. Strategic alignment increases brand visibility, drives deep organizational changes and more importantly, empowers faster decision making. Automation has captured the imagination of business technocrats. The motivations are saving time and more importantly, money. It's about taking control of processes so that their execution is timely and efficiently communicated. Focusing on advanced robotic automation helps your business to executive business processes faster, reduce overheads and costs and enjoy zero downtime. Agile CRM software address automation with powerful out-of-the-box designers with a one stop shop for creation, testing and deployment. Agility combined with continuous automation converts customer requirements into almost instant gratification. Allowing the customers to give feedback on their own terms fosters relationships and empowers customers. But it's not just enough to take feedback. Just as you analyse marketing campaigns, find out how, when and where do customers share their feedback. One size fits all doesn't work on all customers. For instance, web surveys are great but are tedious to fill out on a mobile. And customers usually fill out surveys while travelling or at breaks. Schedule your survey campaigns accordingly. After collecting the feedback, act on them. Find out the areas where you can significantly improve your standards. This allows you to emotionally engage with the customers who then become less price sensitive. The above steps will empower you to get closer to the customers, listen actively to their voices and learn from their experiences, just like a true whisperer.